Do you have sunglasses on? All three are required to view the following. 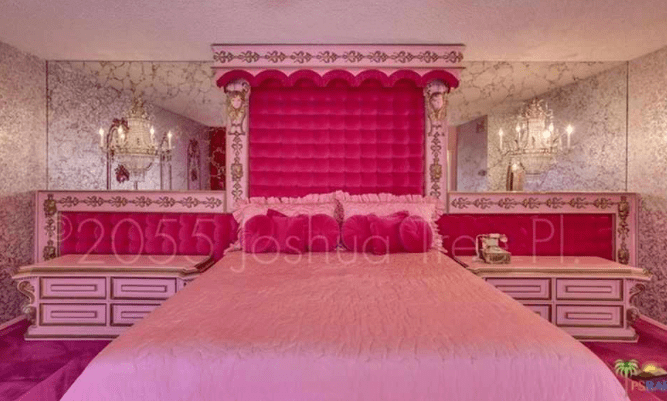 Kelly just posted on her blog, Old House Dreams, the MOST over-the-top, meticulously preserved, eye-popping, 1969 Hollywood-Regency-styled house in Palm Springs. Here are just three images. Click here to see the full OMG glory. Dreadful! And I wouldn’t change a thing. Absurd! And I wouldn’t change a thing. Terrifying! And I wouldn’t change a thing. I have a passion for this kind of break-all-the-rules decor. It just makes me smile. If I had gobs of money I would SO snap this up. And not change a thing. 9 Responses to A Palm Springs SHOCK! How amazing! I love it too! Thanks for sharing!!! Unfortunately my checkbook can’t keep up with my expensive taste, lol! Wow! That’s definitely on the dreadfully horrifically fantabulous scale! It’s so over the top that it totally works! And is shocking! But the big question would be – what would you wear in this house?! It would look out of place I’m sure! 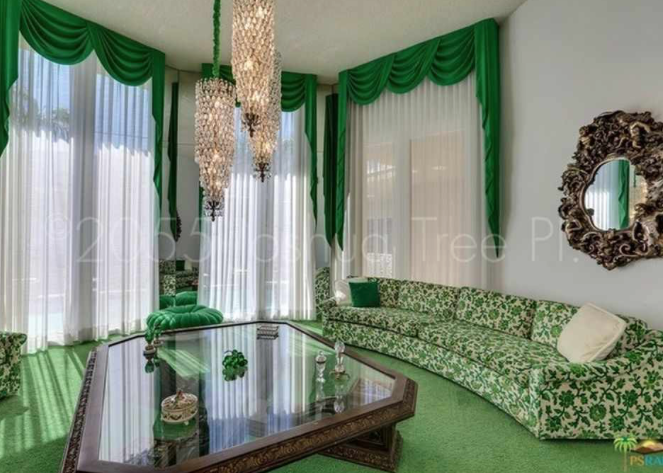 So – 1960’s garb only – so you match your house! No bell-bottoms for me. I refused to wear them then, and I’d still refuse to. But I’m sure Id find an appropriate outfit. Duelling chandeliers​ in the dining room. Oh Ross, I can see it now . . . .Darling . .
Not my first preference in architecture, but if I owned it, I wouldn’t change it either! That is downright, utterly fabulous!!! OMG! So over the top & needs to be preserved exactly. This has been for sale for ages. Gee I wonder why! It’s neat and all but I don’t think many people could stand to live with it. And I bet even those people would hate to destroy it. So hmmmmm… maybe it should be made into a museum. One that you have to be drunk to get into ???? 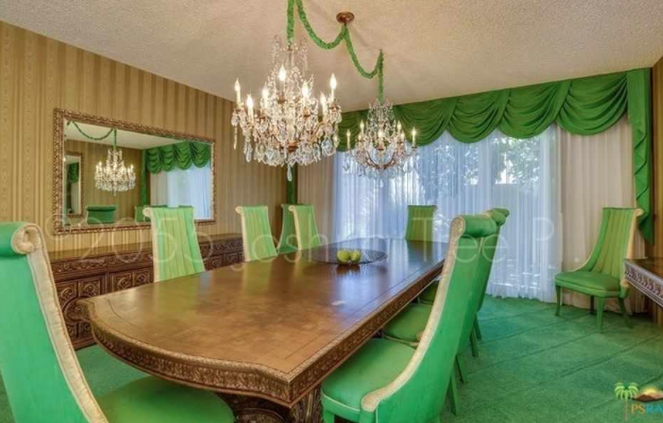 This is a mix of Emerald City and Barbie’s Dream House!!! I’m glad I waited until I had a couple of glasses of bubbly before looking at the full site. Oh, Lord! have you seen #stayhere on Netflix? They featured this house and did a wonderful job renovating it!